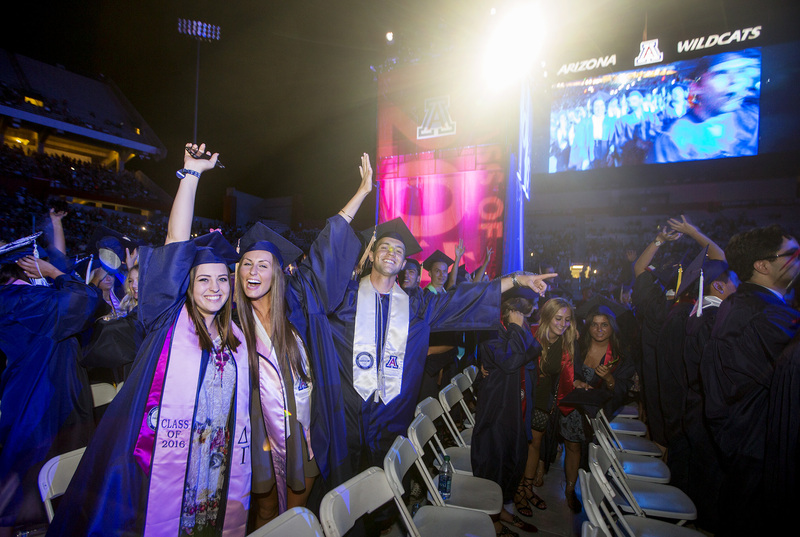 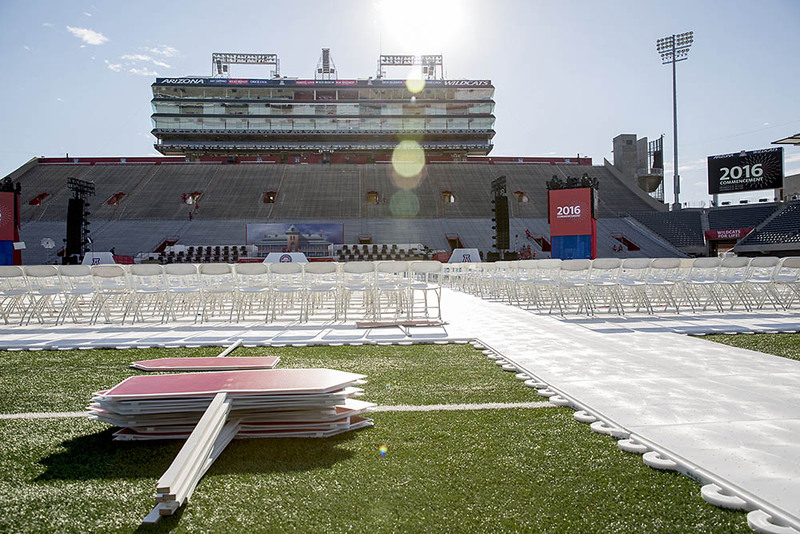 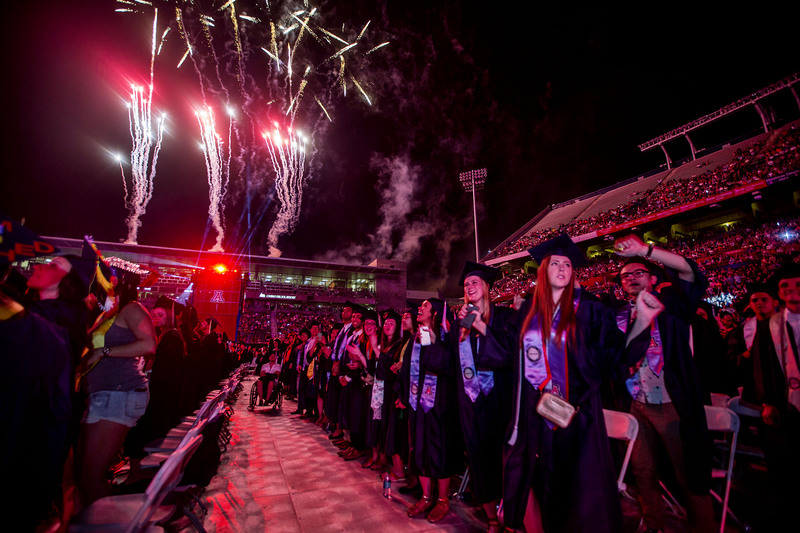 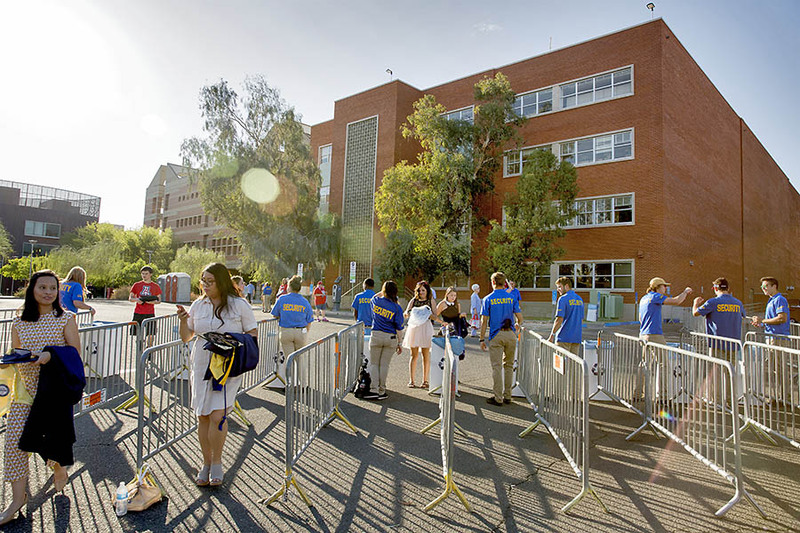 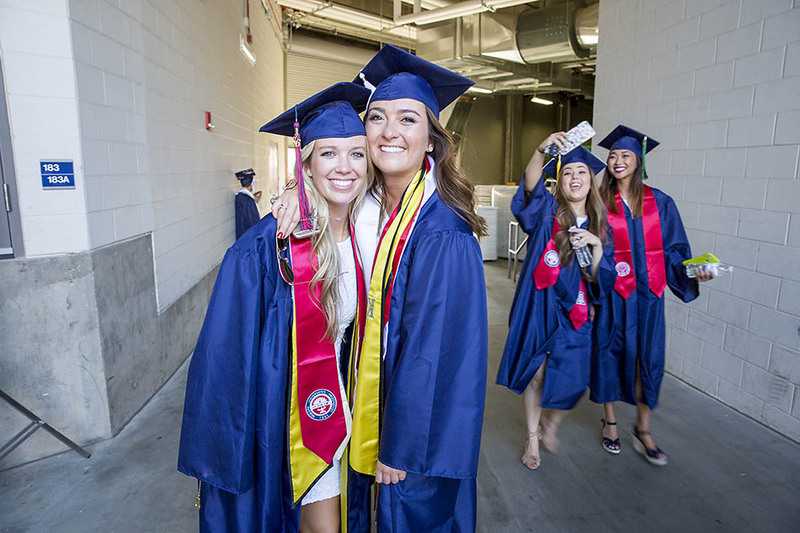 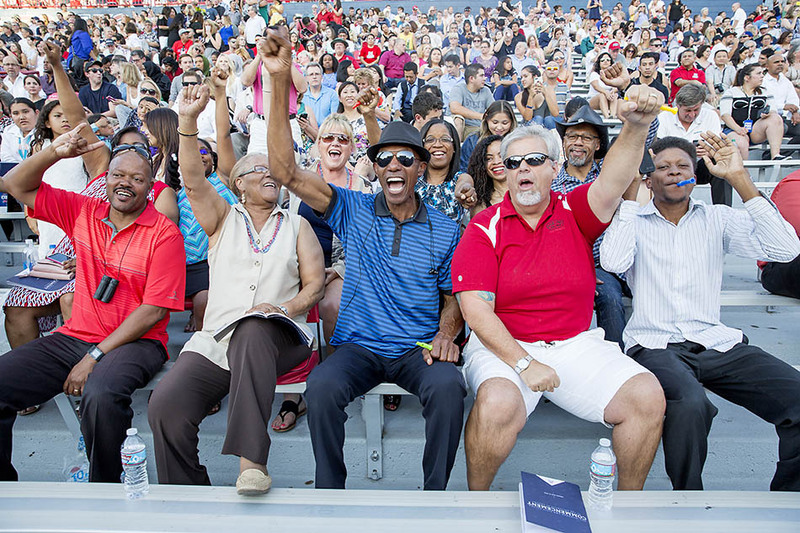 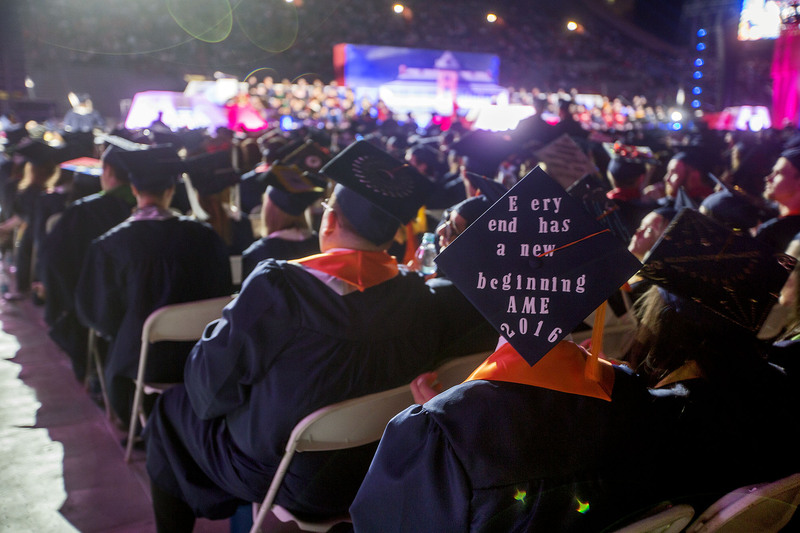 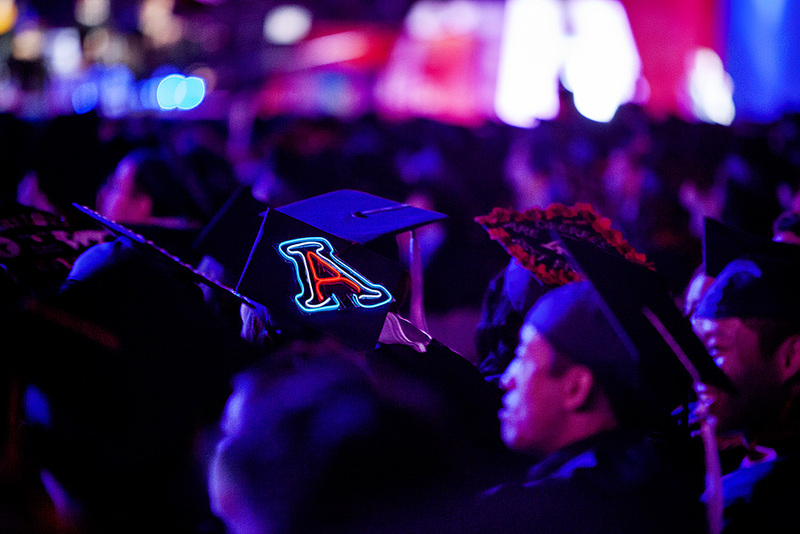 More than 4,000 of about 6,000 students who received degrees this spring attended the University of Arizona's Commencement ceremony, along with more than than 40,000 guests. 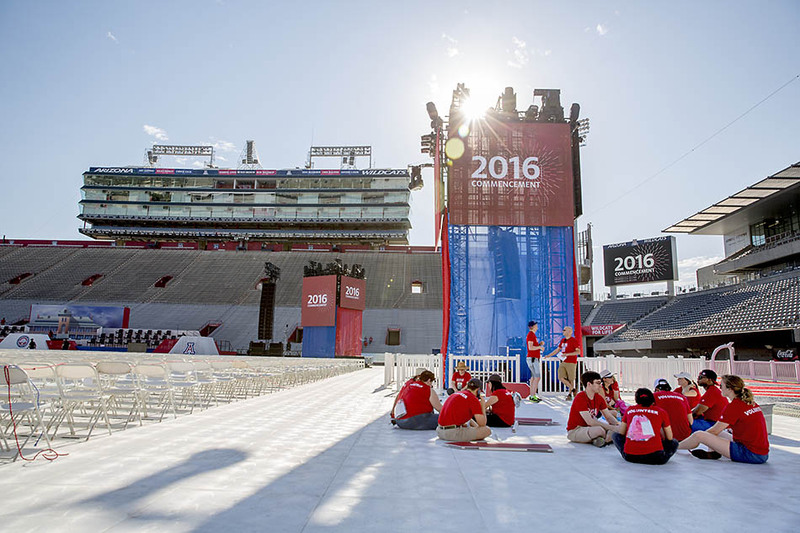 Planning for the event began nearly a year ago and involved more than 300 volunteers. 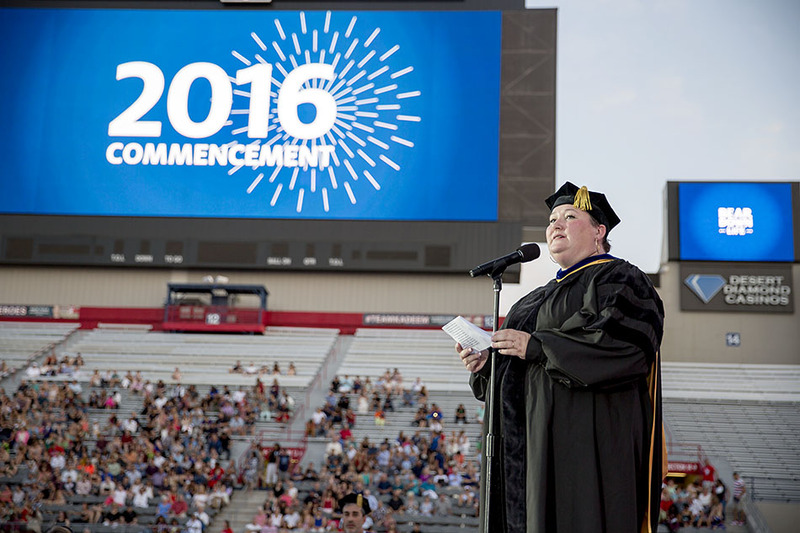 Addressing the graduates during the 152nd Commencement ceremony, UA President Ann Weaver Hart encouraged the Class of 2016 to remain committed to progress, whether it be in the creation of new understandings or new experiences. 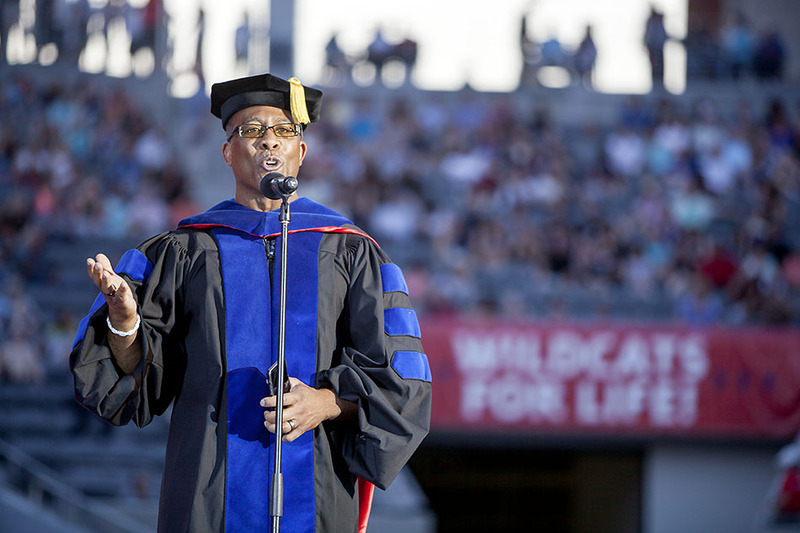 "As you graduate and move on to the next chapter in your lives, remember that every day, every moment, is a chance for action, for change, for the betterment of our world," Hart said. 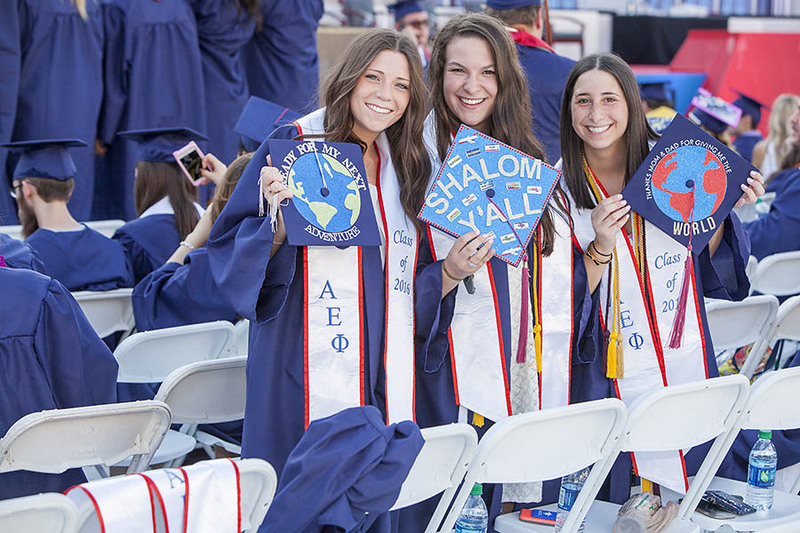 "Though it may be a cliché, the sentiment that Commencement is just the beginning of your journeys is very true, and each day you will commence again," she said. 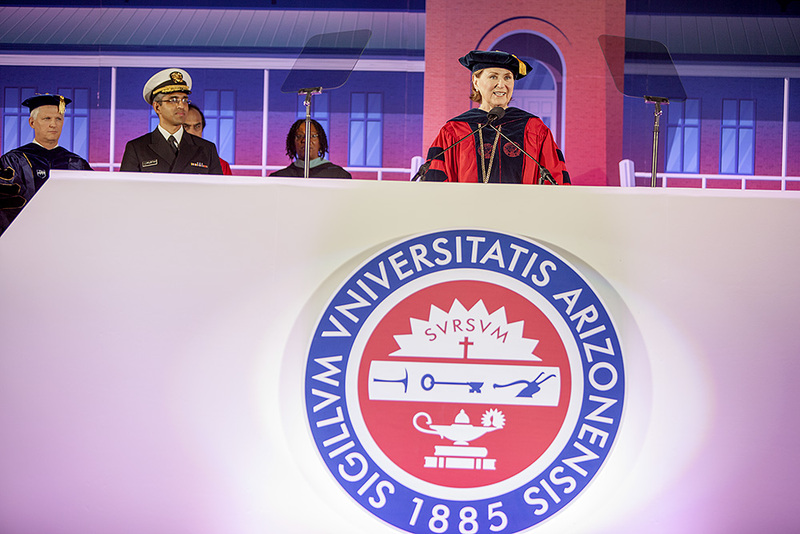 "And so your degree records your achievements as students but also proclaims your potential as graduates, and tonight’s Commencement is a call to take hold of this moment in your lives and in our shared history to be leaders who contribute to the future — a new and still emerging moment for all of us."